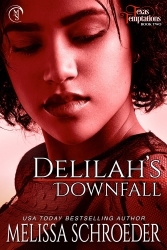 Delilah’s Downfall is out now! Finally, Delilah is back in the wild. I expanded the book, changing it up a bit, and adding an epilogue. Make sure you grab it up today and remember, TODAY IS THE LAST DAY TO GET Conquering India on sale.